Gift giving during the holiday season can be really stressful. Especially when you don’t make a list of who you need to buy gifts for, what you think they would want for the holidays and what your budget is for each person, as well as overall. Well, don’t worry, I’ve got you covered, once again! 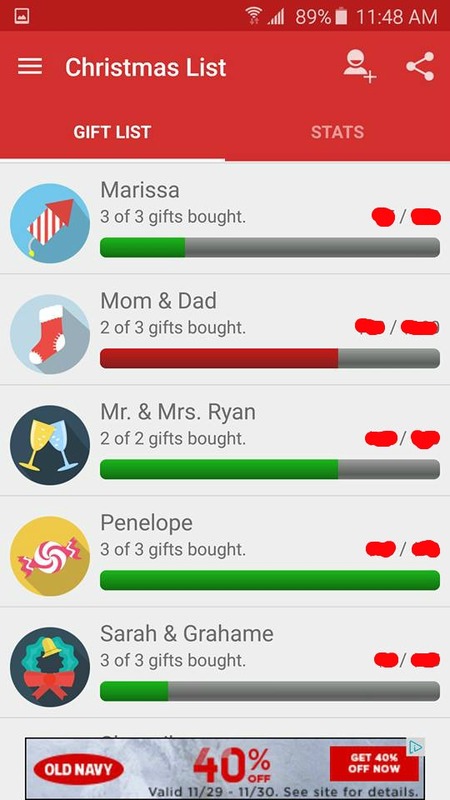 While browsing the Google Play Store looking for some new apps, I came across this app called Christmas Gift List. 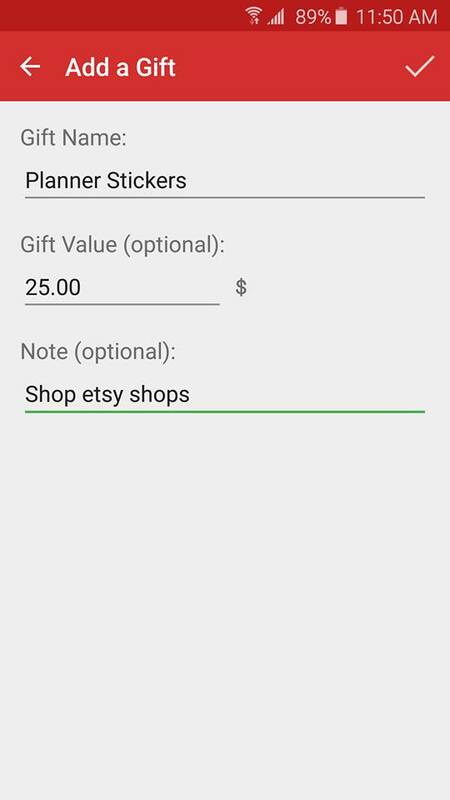 Since I started using this app, I feel a lot more organized than previous years. 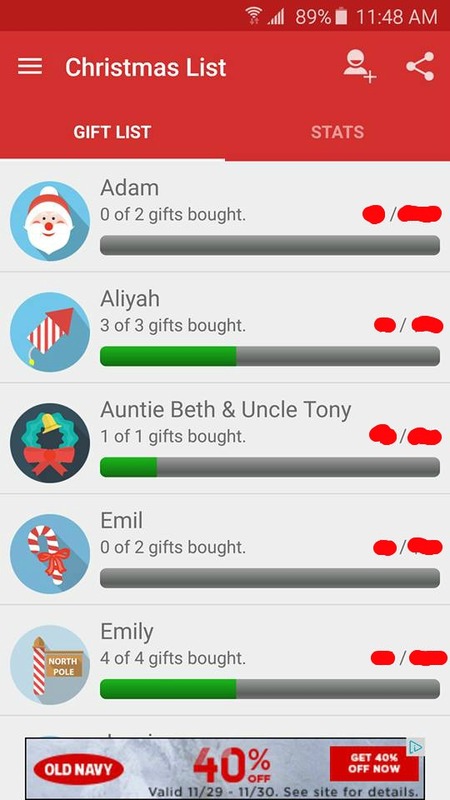 I find I seem to forget who I buy gifts for and last minute, right before all of the Christmas parties, I realize I forgot to buy a few people gifts! This year though, I already have majority of my Christmas shopping done! I find it is also helpful in organizing who gets what for Christmas. When I Christmas shop, I usually buy a lot of things at once. 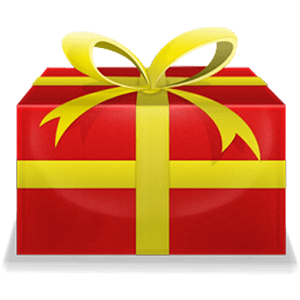 Sometimes I’ll buy big packs or bulks of gifts, like chocolate, for example, and split up the sets that are too big to be just one person’s gift. This can sometimes be confusing in remembering who I already gave chocolates too and who I still need to wrap some up for. 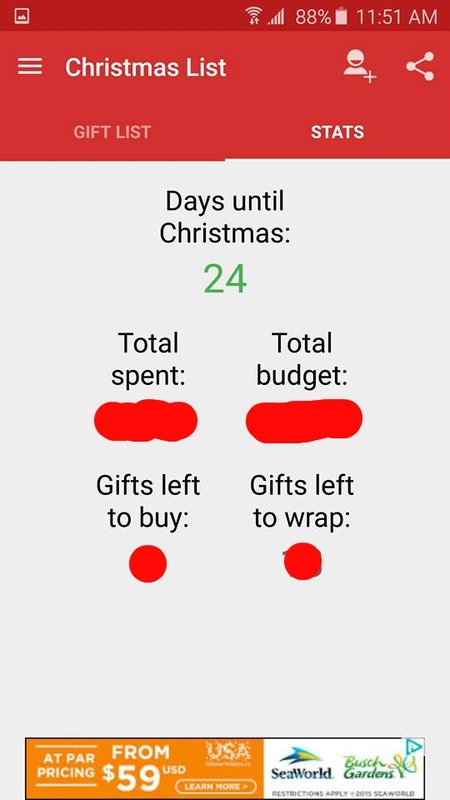 With this app, because of the “bought” and “wrapped” check lists, I can remember who already received chocolates and who still needs to. 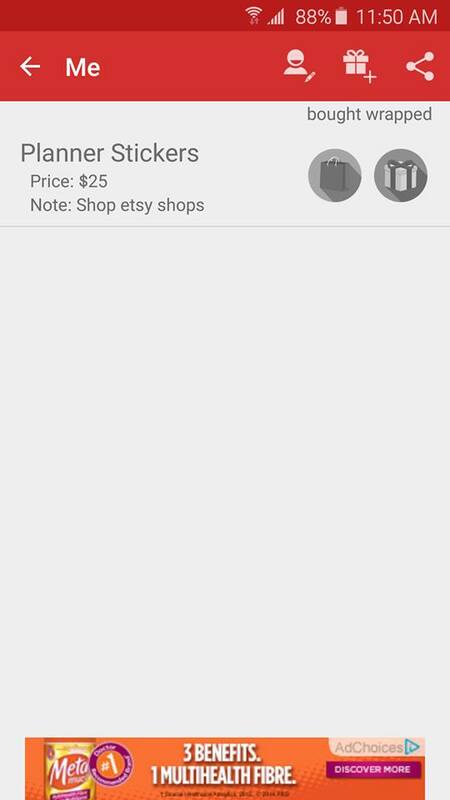 I have really been enjoying this app so far. 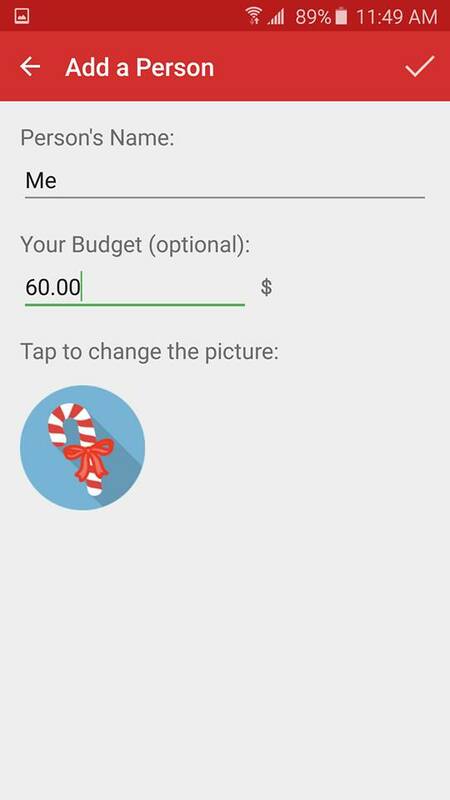 If you are anything like me and could use some organization help during this holiday season, you can get the app now at the Google Play Store! 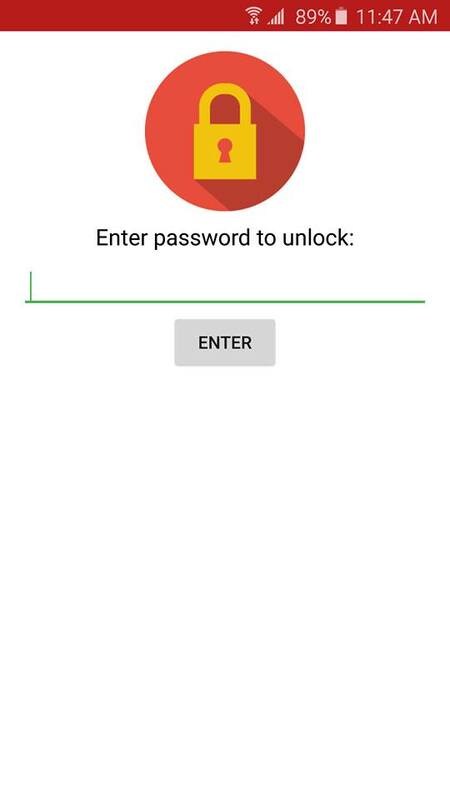 I have also linked below an app similar for Apple users called Santa’s Bag.